Augtober, Augvember... bah. A little holiday makeup cheer isn&apos;t so out of place, then is it? So let&apos;s have a peek at the Chanel holiday 2014 Collection Plumes Precieuses de Chanel, due at the beginning of November via thebay.com and nordstrom.com as well as Murale. 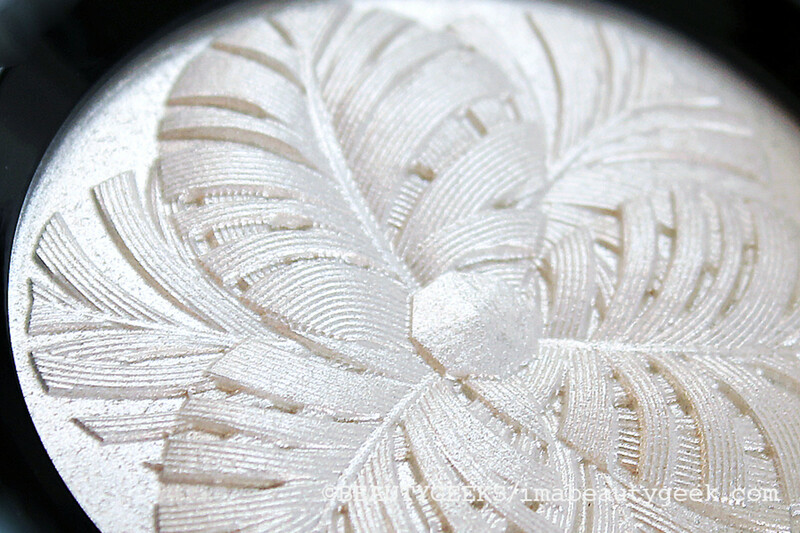 Feathers and diamonds inspired the Chanel holiday 2014 Collection Plumes Precieuses de Chanel. The palette: silvery white, white gold and cool greys with a soft peach for subtle warmth and an aren&apos;t-we-fabulous killer red for glamourous lips and nails. 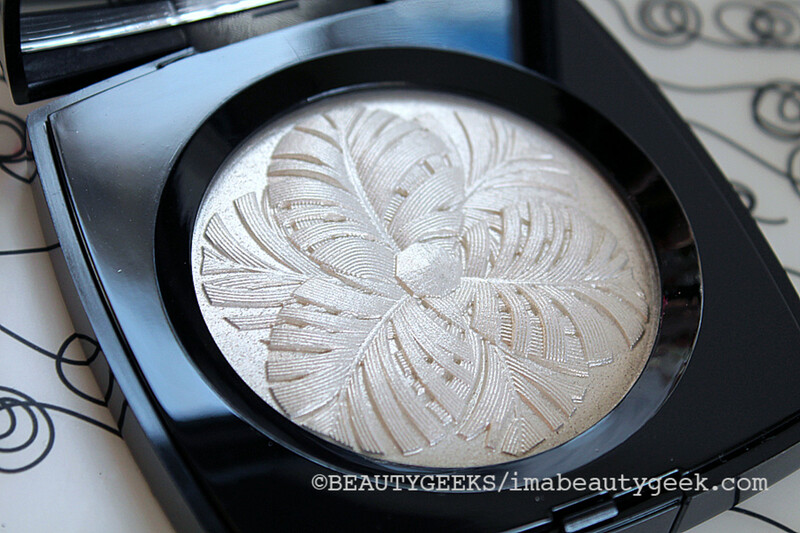 The star item in the Chanel holiday 2014 collection is the shimmering Chanel Camelia de Plumes Highlighting Powder ($76). 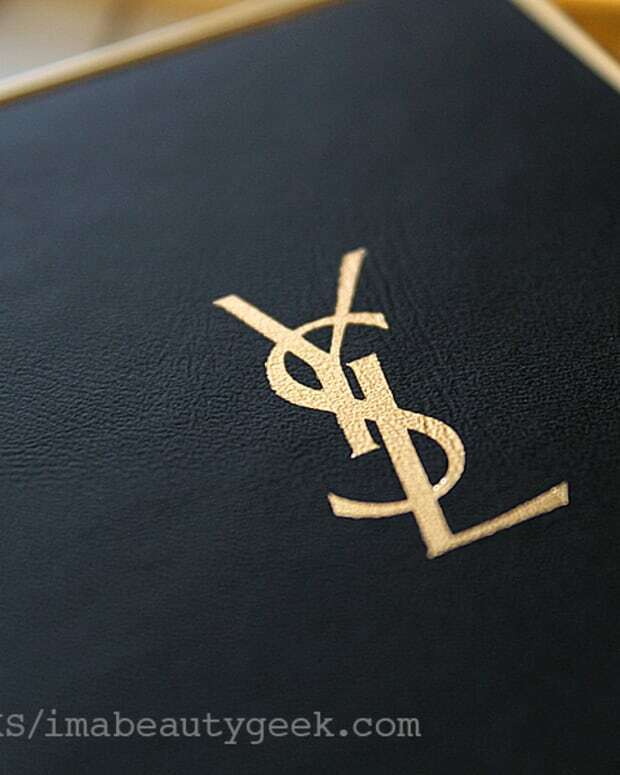 Aptly named Platine, the compact&apos;s surface features a feather motif shaped like a camelia, Coco Chanel&apos;s signature flower. Looks a bit more like an art-deco representation of giant palm fronds, perhaps, but lovely. A sheer platinum with a trace of gold, the illuminator is designed for use in the usual places: cheekbones, decollete -- a dusting on bare shoulders is always pretty too. 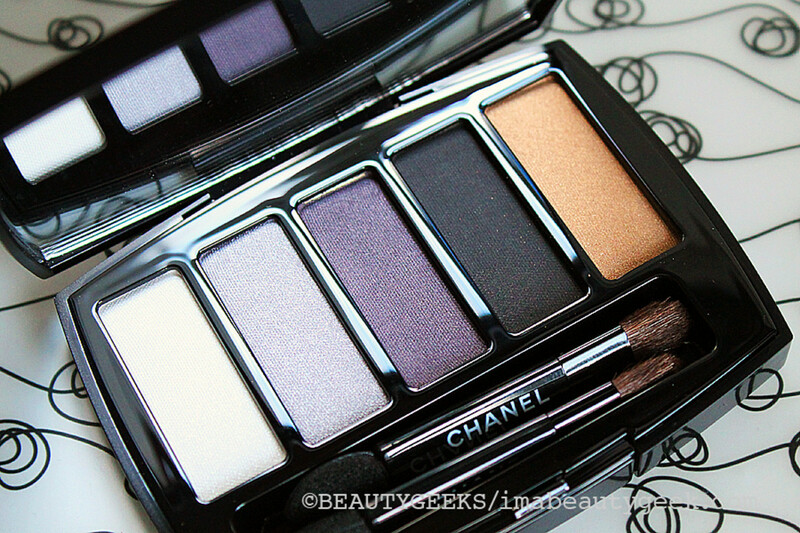 The Chanel holiday eyeshadow palette -- Les 5 Ombres de Chanel Oiseaux de Nuit ($70) -- features five pretty shades: icy white, pale lavender grey, deep purple grey, black and antique gold. 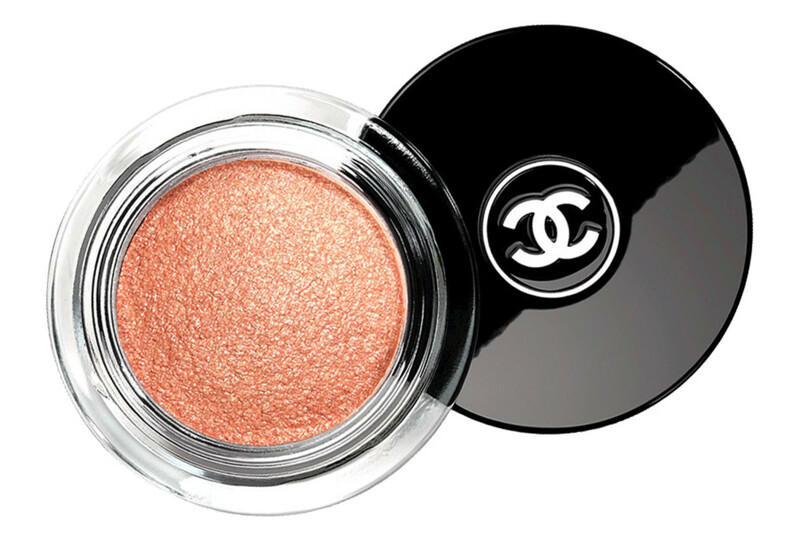 Also part of the collection, Chanel Illusion d&apos;Ombre in Envol ($38), a soft peach shimmer for eyes. 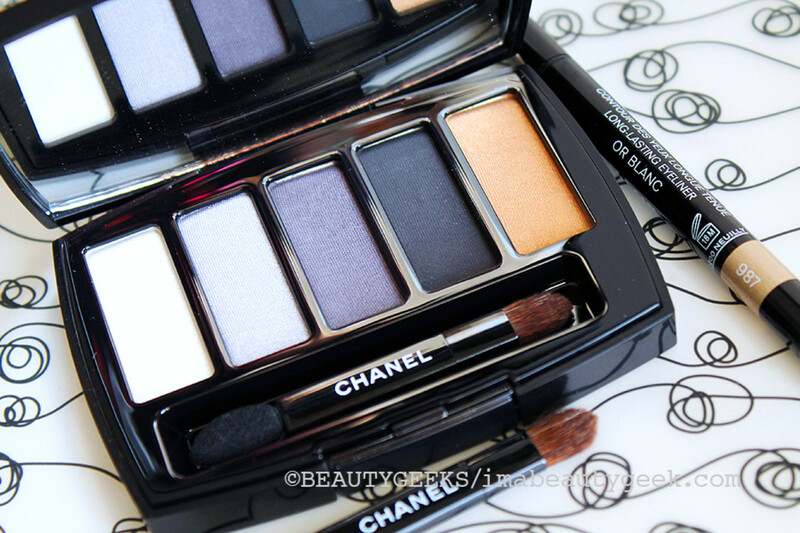 As well as the Chanel Oiseau de Nuit eyeshadow palette and Envol eyeshadow, the Chanel holiday 2014 collection includes a waterproof eye pencil in Or Blanc, a white gold ideal for lining the lower waterline for an instant bright-eyes effect. 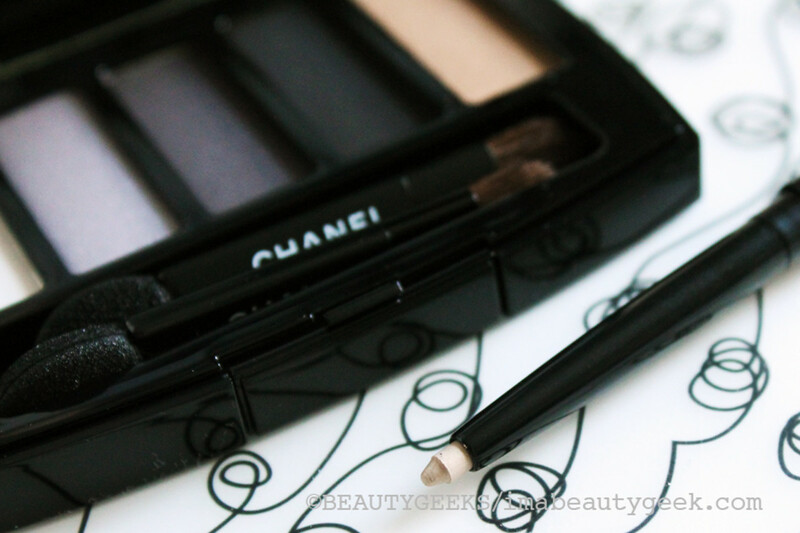 Oh, here it is: the Chanel Stylo Yeux Waterproof in Or Blanc ($30). 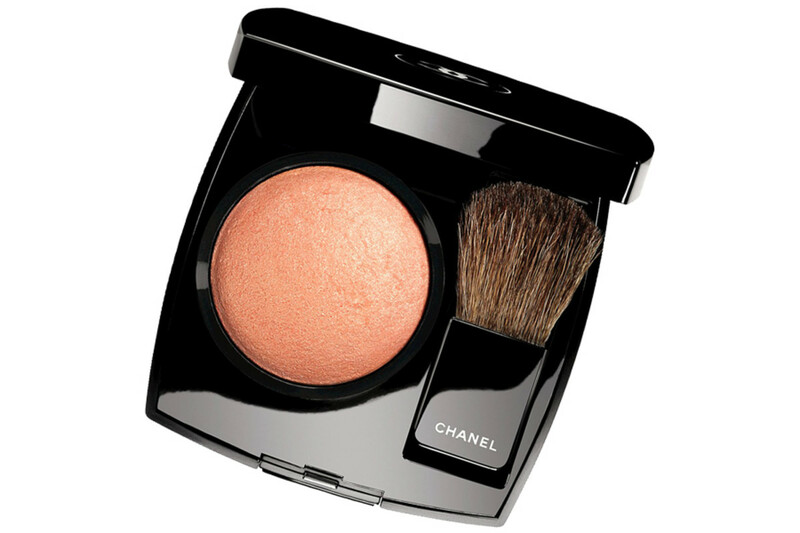 For cheeks, the Chanel holiday 2014 Collection Plumes Precieuses de Chanel includes one powder blush, Chanel Joues Contraste in Caresse ($48), a pretty peach with a soft pearlized silver shimmer. 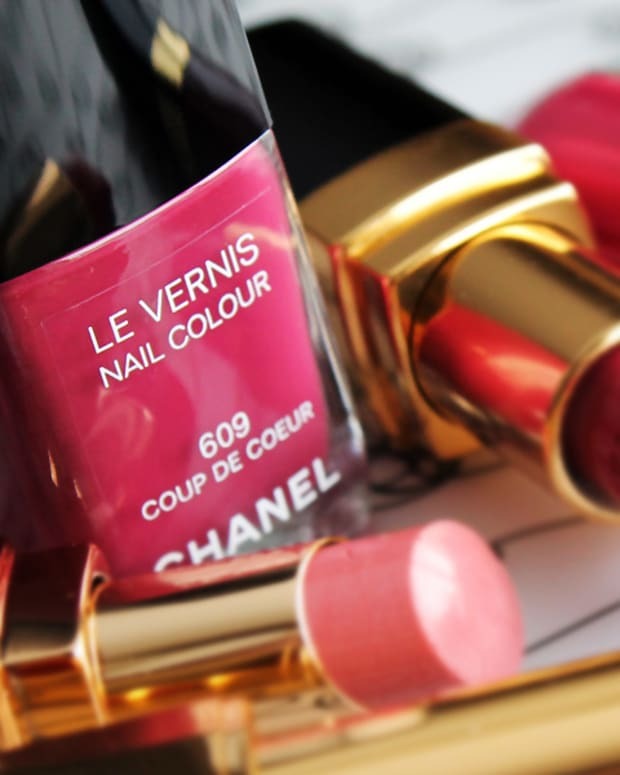 There are two lipsticks in the Chanel holiday 2014 Collection Plumes Pecisieuses de Chanel lineup. 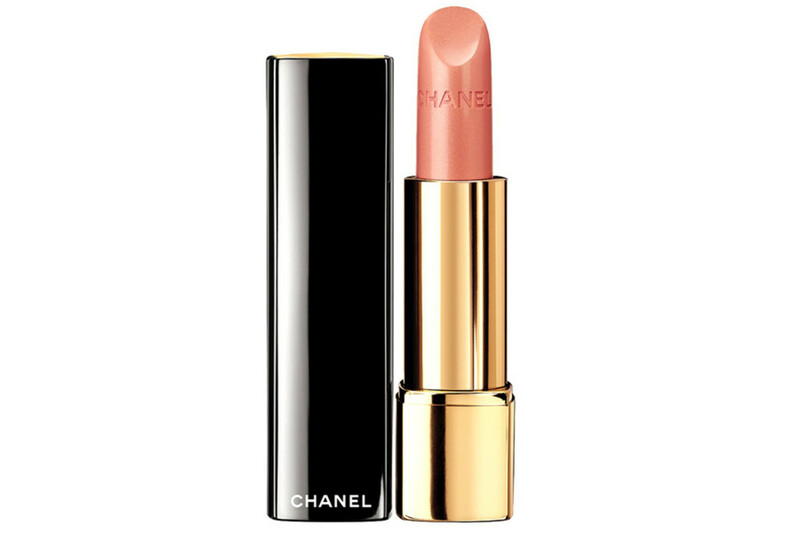 This is Chanel Rouge Allure in Volage ($40), a satin fresh peach for nights you want your eyes to be the focus. 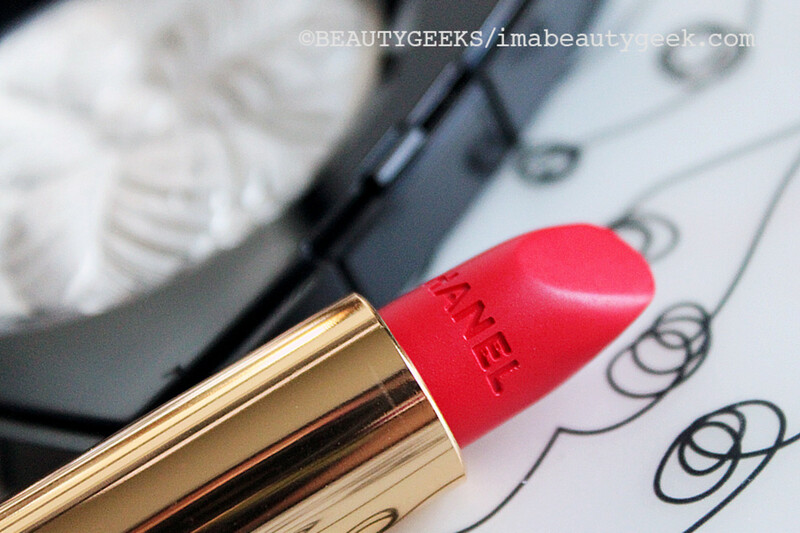 And this is Chanel Rouge Allure Velvet in La Flamboyante ($40) is a glamorous, knock0ut-red matte. Also part of the collection is red nail colour as fiery as the La Flamboyante lipstick. 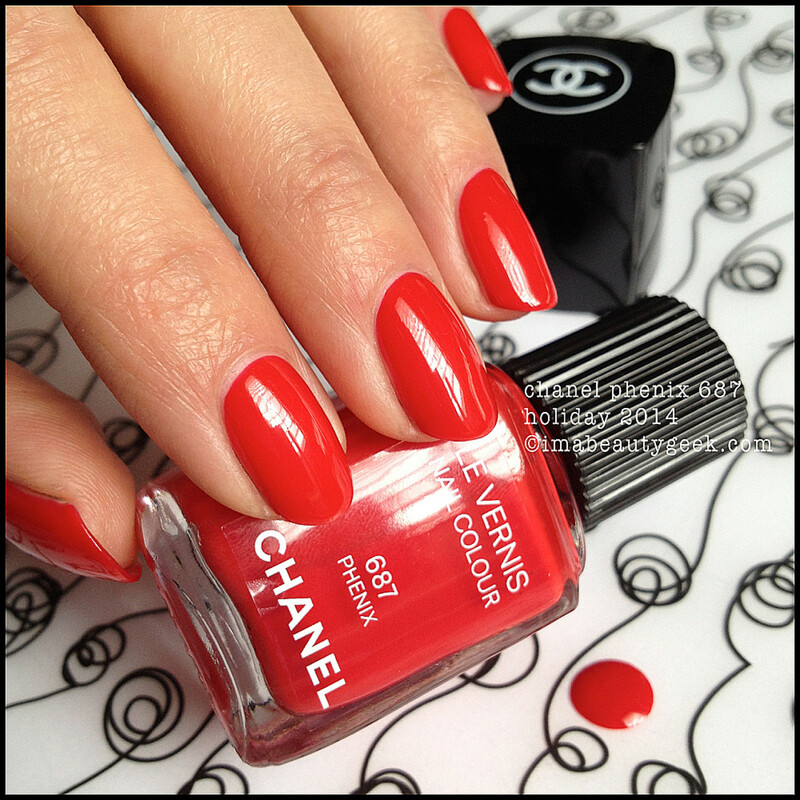 This Chanel Le Vernis in Phenix ($29) is "poppy-red beautifulness," says Karen Mani-Geek. Our manigeek, Karen, compared Chanel Phenix to OPI Coca-Cola Red and OPI Race Red from the OPI Mustang collection, and shot it in three different exposures to show differences. Of the three, Chanel Phenix and OPI Coca-Cola red are closest. Not identical, but "98.5% kind of close," says Karen. The entire Chanel holiday 2014 collection is limited-edition and scheduled to hit counter November 2nd at thebay.com, nordstrom.com and Murale. 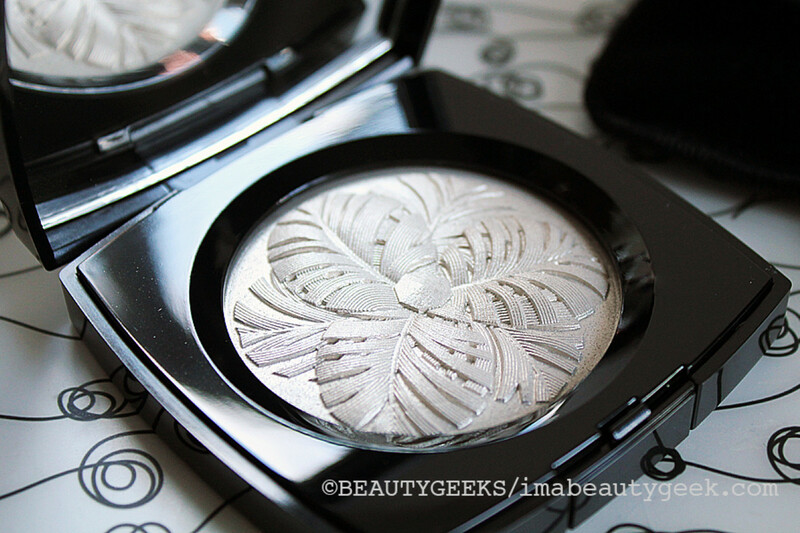 In the meantime, is there anything from the Chanel Etats Poetiques Fall 2014 collection that calls to you?